Do I Really Need Permits? It’s very tempting to do renovations without pulling permits. It may appear that you will save time, money and a big hassle, but at what cost? The primary reason that municipalities require permits is so that they can be sure that work is performed to acceptable standards and that it meets all building codes. The codes are created to set minimum standards for safety and appearance. These standards give home buyers a reasonable level of assurance that a home is safe for them to live in. A lot of cosmetic work can be done without permits. Installing new carpets, painting and landscape changes normally do not require any kind of approval. However, major renovations involving plumbing, electric, foundations, extensions etc. always will. A good starting point is your local building department if you have not retained the services of an Architect or General Contractor, they can give you a wealth of information on what the requirements are. When in doubt, give them a call. They are there to help. So Called Professional that works without Permits! When working with contractors you need to be careful. If they tell you that they don’t need permits to do the project you should check to be sure. It could be that they are unlicensed or they may be looking to cut corners. Be especially wary if they say that you can save money by not pulling permits, you may end up paying a lot more in the end. The building inspector will check a contractor’s work to be sure that it is up to par. If the work is shoddy it will fail inspection. This is a case where an inspector can save you a lot of trouble. If the work fails inspection the contractor will have to make it right and they should be the ones bearing the cost for any corrections that need to be made. When working with a building department in a large city you a probably dealing with a bureaucracy and may not see the same inspector twice. In a small town, you will most likely deal with the same inspector for multiple inspections. I personally like dealing with small cities, this gives the inspector a chance to create familiarity with your construction project. Furthermore, you will need to adapt to the local conditions of your building department. In a large city you want to develop a good reputation so that inspectors know that you are easy to deal with. In a small town you need to make the inspector your friend. Making an enemy of a small town inspector can be the kiss of death. Permits, inspectors and inspections can be a big hassle. However, in the long haul, they may save you a lot of grief. If you are reading blog, chances are, you have received a notification from your City or County requiring you to perform a 40 year Inspection of your property within a given amount of time. Here at Scavuzzo and Associates P.A. we have performed many of these types and other construction related specialty inspections. The first thing that comes to mind for many is the expense required and aggravation to not only performing these inspections, but to perform any repairs that are needed as well. First, you need to know that we are on your side. Many inspection companies want to “cover their basis” by requiring repairs that are not necessarily required such as: plumbing, site work, and mechanical. We will only mention items that are SPECIFICALLY AND ABSOLUTELY required by the criterion of the 40 Year Recertification. Provide you a detailed list (if there are items that are to be repaired)…and follow-up with an inspection to provide you with a “100% clean bill of health” so that you can then get your certification problem-free from your City or County. We make a commitment to you that we are with you every step of the way. We have been performing these inspections for over 30 years, longer than most other inspection companies out there which afford us to provide you this service not only at a reasonable price but hassle-free and keep your repair costs at a minimum. Having a team of Architects, Engineers and General Contractors make us very familiar with all of the facets of the construction trade and have prided ourselves on the relationships we build not only with our customers but many of the Building Departments. Moreover, our staff has made a pint to work hand in hand with these officials, which is quite important… they are familiar with us. As a matter of fact, we are on the referral list of companies that the cities give out to those who need these services. ·Do they provide a list of repairs (if needed) and within the same report and a cost valuation?….Yes, We Do! Do they provide IN-HOUSE structural and electrical professionals that can provide recommendations for repairs (if needed)?…Yes, We Do! Are they a reputable firm that has been performing these inspections and how long?…Yes, We Have! Michael A. Scavuzzo R.A. has been in private practice for over 35 years. Hands down, in South Florida, Scavuzzo & Associates is absolutely the best value in town when it comes to performing the 40 Year Recertification. We take the extra steps to keep your repair costs down. Many of our customers ask, “Why do 40 Year Recertification’s exist”? When receiving their notice from the city or municipality advising that a 40 year recertification is required on their property? A common reaction with disdain due to the additional and potential costs and aggravation that may be incurred through the process. Although it is true, there could be additional costs, the fact remains is that these 40 year re-certifications are at the forefront of a state-mandated program to ensure public and building safety. 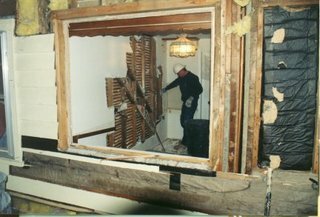 Many buildings undergo numerous changes throughout the years which many are performed without permits and pose a serious hazard. Other buildings are just old and contain hidden risks that may otherwise go unnoticed until it is too late. Through this policy, a design professional through engineering expertise is certifying and taking responsibility for the safety of the property.